We’ve developed a world class suite of Online Reputation Management and Digital Presence solutions to help put you in control of your online image. Highlight positive content and suppress unwanted information within search results for your personal or business name with our suite of Reputation Repair Services. We make it easy to stay on top of brand mentions and consumer reviews with actionable, concise reports delivered directly to key contacts. Review and respond to consumer reviews across dozens of review platforms, for up to 50,000 business locations, all from one easy-to-use dashboard. Take control of your digital presence. 89% of people say that they use search results to research an individual or company before deciding to do business with them. Monitor for threats in real-time. Local Search Optimization is a crucial part of any successful local marketing strategy. 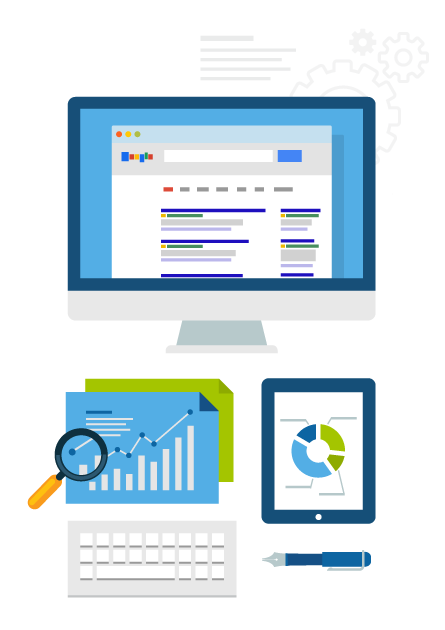 Our timely and cost-effective SEO services help increase your site's ranking. Promote positive content and suppress unwanted information within search results. Digital marketing campaigns that speak to your customers and resonate with your brand.